Charting services become like habits: we grow comfortable with them. 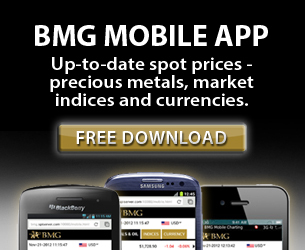 Bullion Management Group Inc. (BMG) challenges you to try something new. We believe that we offer one of the most comprehensive gold, silver, platinum, and WTI crude charting services available. The service is free of charge, with no sign-up required. The charts are real time and allow the reader to compare prices in sixteen major currencies; they also include historical data going back ten years. Ratio charts compare the U.S dollar to other global currencies from the Argentine peso to the Swiss franc. They also allow comparison of gold to silver, platinum, the XAU, and the HUI. The charts are interactive, allowing the viewer to set specific date ranges. As well, the currency charts provide comparison charts of each commodity against six currencies at a time. 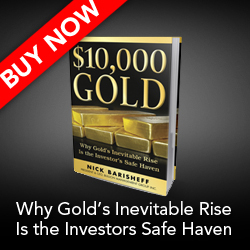 Precious metals can be charted in ounces, grams, and kilograms. Indexes include the DOW, TSX, HUI, XAU, the S&P 500, and the NASDAQ. Please try the service. We think you might like it enough to change a well-established habit.